2. Take enough food and water to last for several days in an emergency. 3. Bring a map and compass, and always orient yourself before leaving camp. 4. Wear layered clothing and take extra clothing, preferably wool and polyester. 5. Plan your outings so that you can return to camp before dark. 6. Never leave camp without fire-starting equipment and a foil blanket. 7. Don’t panic if you become lost. 8. Give a responsible person your hunting plan. 1. Keep firearm pointed in a safe direction at all times. 3. Be sure of target and what is in front of and behind it. 5. Check your barrel for obstructions and your ammunition for flaws. 6. Unload firearms when not in use. 7. Point firearm only at something you intend to shoot. 8. Don’t run, jump or climb with a loaded firearm. 9. Store firearms and ammunition separately and safely. 10. 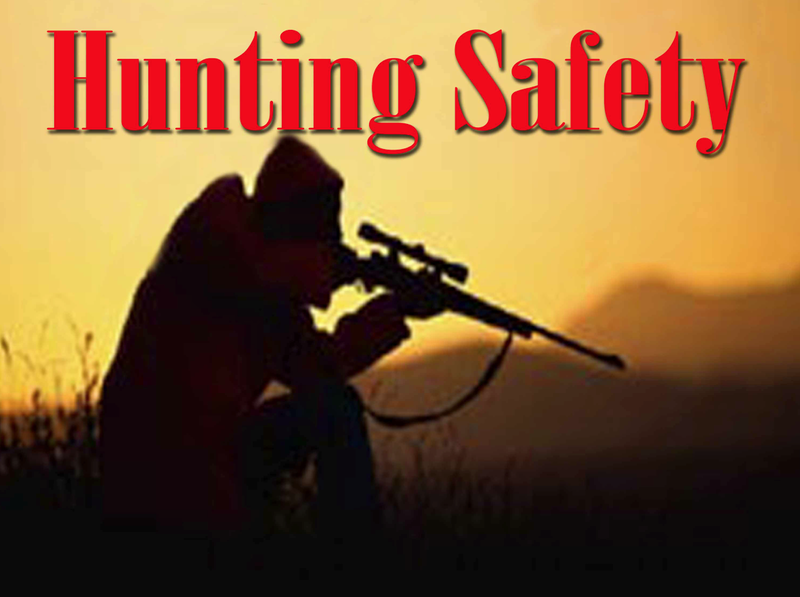 Avoid alcoholic beverages before and during hunting sessions. Good luck out there, hunters! Stay safe.